Cenotaph Brock Barracks, Oxford Road, Reading. 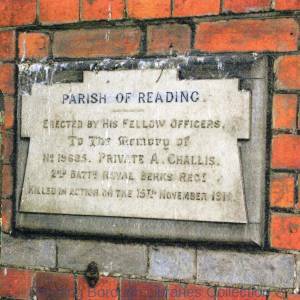 Brock Barracks, Oxford Road, Reading: the cenotaph, probably on Remembrance Sunday, with two clergymen and a group of people. colour photograph ; 12 x 18 cm. Potts, Frederick William Owen, V.C.